According to a study, more than 90% of the world’s sea birds have plastic in their gut. The amount of plastic being dumped into our rivers and oceans is alarming. More than 8 million tons of marine plastic debris ends up in the ocean every year. If it is not controlled in time, there will be more plastic than fish in the world’s oceans by 2050. Here we take a look at the top 10 largest mismanaged plastic waste producing countries on the planet. Ocean plastic is a serious problem. It’s killing hundreds of thousands of sea animals every year. Emerging countries in Asia have seen increasing use of plastic, but they don’t have an effective garbage collection system. Developed nations tend to generate more plastic waste per person than emerging countries, but they have efficient waste management systems in place, which means they have a much lower amount of mismanaged waste. For the uninitiated, mismanaged plastic waste is the material at the high risk of entering the ocean via waterways, wind, or tidal transport. The world produced only 2 million metric tons of plastic per year in 1950. It has since skyrocketed to 381 million metric tons in 2015. The world has produced close to 8 billion tons of plastic so far, meaning there is more than one ton of plastic for every living person on the Earth. The South Asian nation produces about 0.8 million metric tons of mismanaged plastic waste every year. And 0.31 million tons of it ends up in the Bay of Bengal. Nigeria is one of the fastest growing economies in Africa. It produces 0.85 million tons of plastic waste every year, about 0.34 million tons of which ends up in the ocean. Plastic trash is dumped on the roadside in major cities. The country lacks an effective waste disposal system. Malaysia has a population of 32 million and per-capita income of $11,338 in nominal terms, which is higher than many other countries in this list. Despite the Malaysian government’s efforts to curb plastic waste, the country produces 0.94 million metric tons of mismanaged plastic waste every year. An estimated 0.37 million tons of plastic debris ends up in the ocean every year. Egypt accounts for 3% of the world’s mismanaged plastic waste. It produces 0.97 million metric tons of plastic waste and 0.39 million metric tons of marine plastic debris every year. 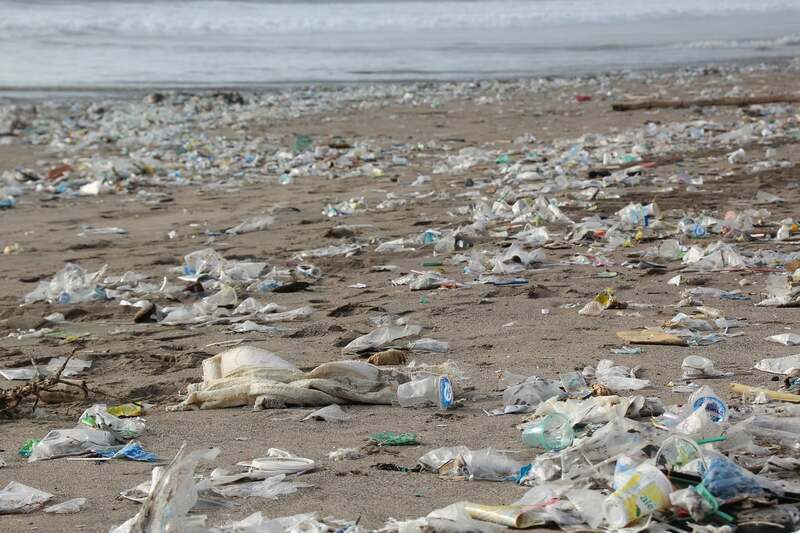 Thailand is known for its beautiful beaches, but many of those famous beaches are littered with plastic. Thailand produces 1.04 million metric tons of mismanaged plastic waste every year. About 0.41 million tons of it ends up in the ocean. It’s quite surprising to see this tiny South Asian nation in this list. In terms of area, Sri Lanka is less than 1/10th of Texas. But it produces more than five times mismanaged plastic waste than the entire United States. With 1.59 million metric tons of plastic waste every year, Sri Lanka accounts for 5% of the world’s mismanaged plastic waste. According to scientists, about 88% of the waste generated in Vietnam is never collected formally. It’s either littered or thrown into unregulated open dumps. Plastic bags and bottles can be seen dumped on almost every beach. Vietnam produces 1.83 million tons of plastic waste and 0.75 million tons of marine plastic debris every year. Just like other developing countries, the Philippines doesn’t have good infrastructure to handle plastic waste. The Philippines is responsible for 1.88 million metric tons of mismanaged plastic waste a year. Indonesia is the second largest contributor to mismanaged plastic waste in the world, accounting for a little over 10% of the total plastic waste. The waterways of Jakarta are filled with plastic trash. The government’s decision to tax plastic containers and bottles hasn’t yielded desired results. The country produces 3.22 million metric tons of plastic waste a year. China alone produces 27.7% of the world’s total mismanaged plastic waste. It produces 8.82 million metric tons of plastic waste and 3.53 million tons of marine plastic debris a year. The Yangtze river is the biggest carrier of plastic pollution to the ocean. China has stopped importing recyclable plastic waste from developed countries, but it still has a long way to go in building a waste management infrastructure. About 77% of the waste generated in China is not collected formally.